You want to become an author. You want a career writing books. You need help figuring out how to create a successful career doing what you love - making your dream of successful authorship a reality. 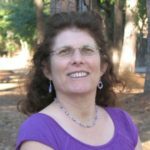 Publishing a nonfiction book typically doesn’t provide you with a ticket to success - at least not if you want a career as a successful nonfiction author. To succeed in this competitive publishing arena, you need a career plan that includes a book - or more than one book - as well as a brand and a business. When you choose this premium consulting package, you receive four one-hour private sessions during which we create your Bestselling Author Career Map, a proprietary process I use with many of my Author Coaching and blog or blog-to-book clients. A road map to get you from where you are now to where you want to go: successful authorship. Clarity on who you are as a writer and your purpose. A list of potential writing topics. A list of potential books you could write. A focused theme for your work. A brand for your author website, including a title and tag line. A blog plan, including a list of categories, potential lead magnets and necessary pages. Steps to take to promote yourself, your site, and your work. Potential products and services you can develop to monetize your content. Emailed action steps to take each week to complete your career plan. Recordings of all four sessions. A copy of the completed map (PDF). Access to the Freemind file. Suggested next steps (if time allows). For many, many reasons . . . you need a career plan. You lack clarity on how to proceed toward your goal of becoming a successful—or bestselling—author. You haven’t achieved the success you desire as an author. You are just beginning to think about how to develop a business around your book. You don’t know how brand yourself, your work, or your author website. You want to monetize your content. Let me help you get from where you are now, to successful authorship. I want to create an Author Career Plan! I am a nine-time Amazon bestselling author of such books as How to Blog a Book, Authorpreneur, and The Author Training Manual. 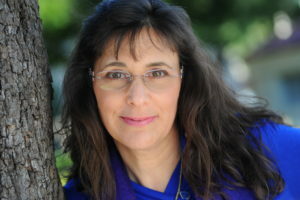 A speaker and blogger, I am known as the Inspiration to Creation Coach because I help creative people combine their passion and purpose so they move from idea to inspired action and positively and meaningfully impact the world as writers, bloggers, authorpreneurs, and blogpreneurs. I provide author, book, blog-to-book, and Certified High Performance Coaching services to my clients, some of whom have sold 300,000+ copies of their books, landed deals with major publishing houses and created thriving businesses around their books. I am the founder of National Nonfiction Writing Month, National Book Blogging Month, and the Nonfiction Writers’ University. As a hybrid author, I have self-published 17 books and had as many as six books on the same Amazon Top 100 list (authorship) and nine books on Amazon Top 100 lists at the same time. You will love the “Career Planning” coaching with Nina Amir! I went from being extremely stuck to knowing exactly where my business is heading. Now I have a blog plan for a year, outlines for two books to write, how to plan my upcoming courses, and she even gave me tips on how to revamp my website in only four sessions!